Ashton Dempsey on How eco-friendly is your ecotourism experience? New Zealand is known for its bold, proactive conservation strategies. Are we ready to use advanced gene editing techniques to save native species? Imagine being able to turn genes on and off, or change their code and alter their function. This is the reality of gene editing technologies facilitated by enzymes like CRISPR-Cas9. CRISPR is essentially a pair of molecular scissors. These scissors can be programmed to target a particular stretch of DNA and then modify it in any of the ways described above. Gene editing has obvious implications for human health. Unsurprisingly, the idea and now practice of editing the genes of human embryos has generated considerable controversy. No less controversial is the idea of using CRISPR for conservation. As a new paper points out, conservation scientists and practitioners need to engage with gene editing now rather than later. It’s no secret that many of New Zealand’s native species are in trouble. Could CRISPR be the answer? Gene editing could benefit conservation in New Zealand in two ways. First, we could use CRISPR to introduce harmful versions of genes into populations of invasive species. Using a species’ genetics against it is not a new idea. New Zealand researchers are already exploring the idea of smuggling genes harmful to males via maternally inherited mitochondrial DNA. Scientists suggested gene drives exploiting selfish genetic elements for controlling problem species as early as 2003. CRISPR could accelerate these processes, giving scientists and conservation managers a way to introduce genetic variants of their choosing into a target population, rather than trying to find those that exist in nature and breed them in. There has been much talk about using this technology against zika-spreading mosquitos. Why not TB-spreading, native bird egg-munching possums? Depending on the mutation introduced, gene editing could be a more humane approach to predator control than trapping or poison. We could also use gene editing to reintroduce genetic variation into New Zealand’s native species. Many of this country’s species have experienced drastic reductions in population size that have left them with extremely low genetic diversity. As a result, these species are vulnerable to disease events and climate change, among other risks. By looking at DNA from museum specimens or closely related species, we might be able to uncover what has been lost, and use CRISPR to put it back into the genome. This genetic supercharging of our native species is perhaps a little further off than gene-warfare against predators. A team in the US, however, has already used human-engineered gene transfer to introduce a resistance gene into endangered American chestnut trees to protect them from a deadly fungus. Gene editing has risks and drawbacks, just like many other exciting new technologies. What if we modified the brushtail possum genome and that modification got across the ditch and into the native range? If a genetic modification is patented, who will have “ownership” of the newly modified species? What about unintended consequences? We know more about animal genomes than ever, but there are still big question marks over the specific functions of many genes, how genes interact, and the role of epigenetic factors. Conservation actions with the best intentions can sometimes have disastrous consequences. 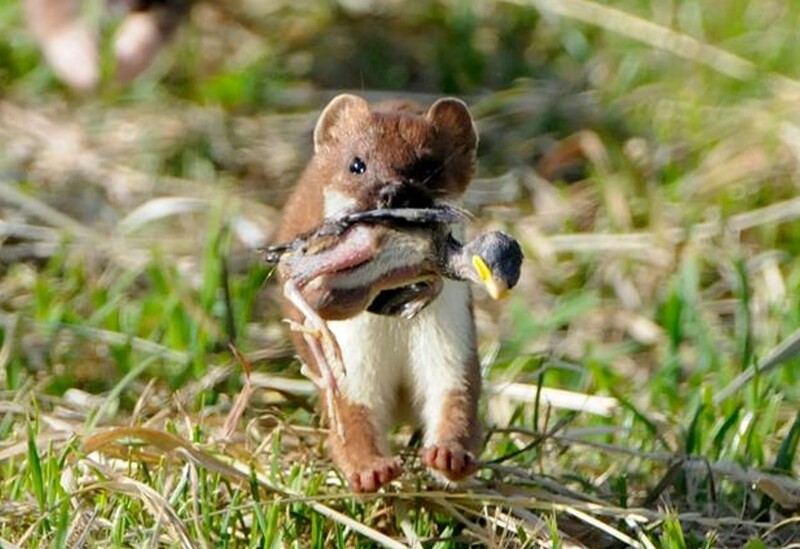 Think about those stoats we bought over to New Zealand to reduce the rabbit numbers. Not a great result for native wildlife… Gene editing for conservation requires years of trials and built in fail safes in case things go wrong. Environmental luminaries including Jane Goodall and David Suzuki have already co-signed a letter authored by SynBioWatch civil society calling for a “halt to all proposals for the use of gene drive technologies, but especially in conservation”. They specifically mention the use of CRISPR. Gene editing definitely makes people uncomfortable. It’s the whole “playing God” thing that does it, and fair enough too. That doesn’t mean we should ban it. It means we should engage with it and attempt to understand the risks and benefits. Only then can we evaluate whether it can be an effective and safe conservation tool. It’s no panacea; gene editing won’t solve issues like habitat loss, but it could help give our native species a helping hand. Kiwis have a strong history of conservation innovation. New Zealand has pioneered tactics such as eradicating whole islands of introduced predators and moving what’s left of its native fauna into these newly created sanctuaries. Nevertheless, the government recently recognised that we require new technologies to reach the ambitious predator free 2050 target. Gene editing could help. Engagement with gene editing in New Zealand has begun. The Royal Society of New Zealand recently convened a scientific panel on the topic. It has also provided a handy web-resource to help people understand gene editing. This is good news as, for better or worse, this technology is only going to become a more prominent. You can already buy a home gene editing kit and play God in your kitchen for $120USD. We all need to be better informed about this topic. Gene editing could be a silver bullet or a poison chalice. Either way, it’s a technology that conservation scientists and practitioners, and the general public, need to start taking seriously. 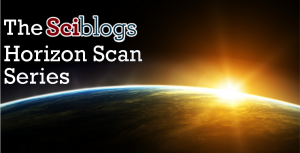 This post is part of the Sciblogs Horizon Scan summer series, featuring posts from New Zealand researchers exploring what the future holds across a range of fields. I’m with Goodall and Suzuki. 100%. New Zealand science has been lured down a path of dollars and wrong decision-making. In fact somehow bureaucrats and scientists have been allowed to become: judge, jury and executioner of Nature. It is not possible to turn back the clock to some mythical era where only “native” species thrived. What is native? What is species? Change is the only constant. “Change the way you look at things, and what you are looking at changes” that is science “fact”. “Look deep into Nature and you will understand everything better”.. Einstein. I read the book Genetic engineering: dream or nightmare? Turning the tide on the brave new world of bad science and big business, author Mae-Wan Ho. published 2000. ISBN 0-8264-1257-2. many years ago. It’s a nightmare. We have enough headaches with the world’s present animal and plant species without creating artificial species. Science like this is already “biting us on the bum”, we don’t need more of it. 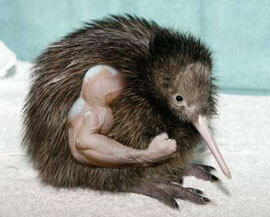 New Zealand you have to stop! I live in America and grew up at Makarora. I am stunned at New Zealand’s total commitment to 1080 and to ignoring the effects of intensive farming on the environment….. I actually agree with gene editing for this purpose. I am from the rural areas of NZ myself and know how destructive possums and rats are to our forestry and our native species. Possums were introduced to NZ so we know that the country can get back on track once they are wiped out from our lands. Obviously, scientists would have to experiment with the gene editing process in labs and decide what method is best for pest control before releasing it to the wild. For example, whether to make it so that only males are born so therefore cannot reproduce or give the species a dominant allele which can make the animal infertile once it has both alleles of this type (this would happen in a few generations). The only thing I would be worried about is an individual effected by gene editing somehow making it’s way over to Australia and start impacting their population. Otherwise I fully support it! At the end of the day it’s our country, so we will be the ones effected if something goes wrong which I am confident it won’t. I understand your concern Barbara Lepson however, like you said.. you are in America. Yes, you grew up in NZ but things change frequently. I myself do not support 1080 because it isn’t just targeting the pests we want and puts other species at risk. However, I ask everyone this.. what do you fear more: gene editing on humans or gene editing for pest control reasons? Because I can tell you right now NZ is using it for pest control reasons only. America however.. well let’s just say their gene editing studies aren’t fully focused on just animals. I know which one I fear more.